You can connect with Pastor Klen & Audrey personally through email and social media on Facebook or Instagram. Klen and Audrey love people and the local church. 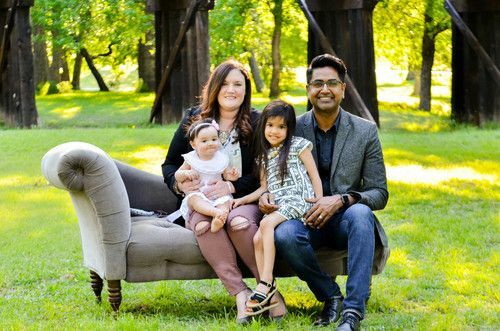 Klen was born to a Christian family and raised in the country of Kuwait to Indian parents. As a teenager, Klen immigrated to Canada, gave his heart to Jesus in a church in Toronto and felt an immediate call to full-time ministry. After a supernatural experience in business school, Pastor Klen determined to answer the call to pastor in America and pursue His leading by moving to the city of Atlanta, Ga. Within a few years of his arrival in Atlanta and his pursuit of undergraduate studies in Theology, he began pastoring on staff at one the largest and most significant churches in America. While in Atlanta, he met the love of his life Audrey who is a native of Lexington, Kentucky. Both Pastors Klen and Audrey have Bachelors of Theology degrees from Logos University in Jacksonville, Florida and Pastor Klen is an ordained minister within the Assemblies of God. Klen & Audrey joined the Newsong Church family in June 2018. Klen is passionate about leading, building and elevating people and churches to realize their God-given purpose through their gifts, and talents. Over the past decade, he has served as an Associate Pastor, Church Systems Consultant, Creative Director, Young adults Pastor, and Worship Pastor. Pastor Klen and Audrey have traveled extensively across America and the globe preaching, leading worship and aiding in missions outreaches in countries like China, India, Canada, Central, and South America. They are the parents of three beautiful children Aria, Autumn & Emerie. Pastor Klen is an avid sports fan, enjoys playing music and sports, loves to learn more about leadership and is an experienced, Foodie. Audrey is a lover of all things art. She spends a lot of her time, drawing, painting and visiting museums and theatres. New Song Church is a diverse church strategically located in the Heights area of Cleveland. We draw people from all over the metro Cleveland area.